Make the most of no-coast Columbus with these seafood standouts. Yeah, yeah, we’ve heard it all before. But these five dishes prove that Columbus is trying to buck the trend with inventive dishes that prove that theory all wet. The menu of Barcelona has stood the test of time and weathered Columbus’s ever-shifting palettes. If you’re craving a bounty of seafood, there’s no better refuge than the German Village mainstay. Especially considering their Paella Mariscos as the be-all, end-all feast. 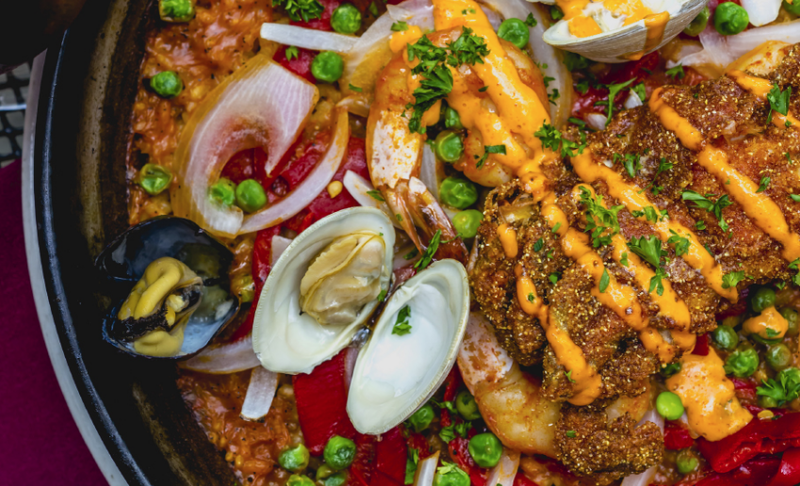 Their take on the Spanish rice tradition features fried soft shell crabs, lobster, shrimp, squid, clams, mussels, and plenty of spice. If you’re in search of seafood, this should have all of your bases covered. Lupo has quickly become a new gem in Columbus’s dining scene, and fans of seafood and Spanish-inspired tapas should take particular note. 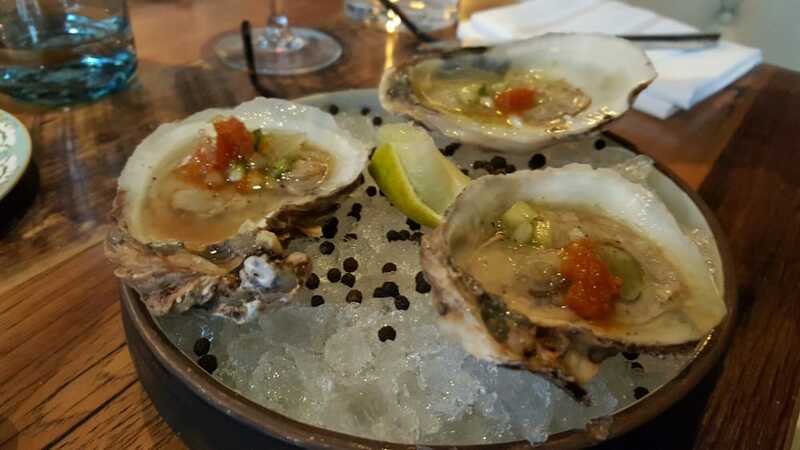 In addition to frequently having a variety of oysters on the half-shell, their menu is packed with fresh, delicate, seafood dishes. The mussel escabeche is relatively foreign to Columbus menus, but here it’s done to perfection. Served cold, the mussels are first cooked in a citrus and vinegar marinade, before being presented with saffron, white wine, and garlic. It’s a perfect summer delicacy, best enjoyed on Lupo’s scenic patio. We’ve spotlighted this Hilliard fish market and their subsequent restaurant in the magazine before, but we wanted to highlight them once again. 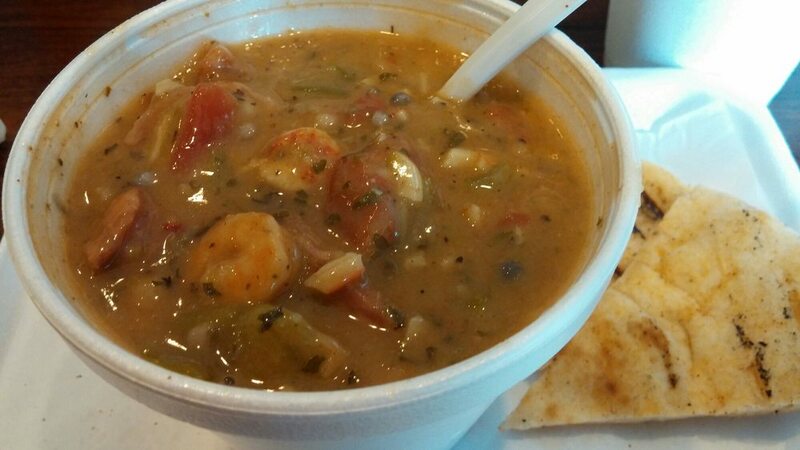 Beyond the fresh fish and shellfish you can order to-go, or their expert boils, Wil Mendez’s award-winning gumbo—chocked full of shrimp, crab, and andouille sausage—is a genuine crowd-pleaser and the only gumbo you should order outside of New Orleans. Frank’s has a definite seaside vibe, even within is confines among a west side industrial park. For the ultimate seafood dining experience, there’s no better place to visit than the timespun Windward Passage. Eating in the windowless, scrimshaw filled Henderson Road fixture is akin to eating on the stern of a pirate ship. Among their staples is the Coquilles St. Jacques, served in a colossal shell, it’s a French-inspired recipe that bakes scallops into a decadent casserole of mushrooms, breadcrumbs, and cheese. Save room for all the oyster crackers between courses. Perhaps seafood’s trendiest dish, octopus has been spotted on menus all over town as of late. But the charred octopus starter at Cosecha is a simple dish accenting the texture and bubblegum-of-the-sea flavors of the centerpiece. 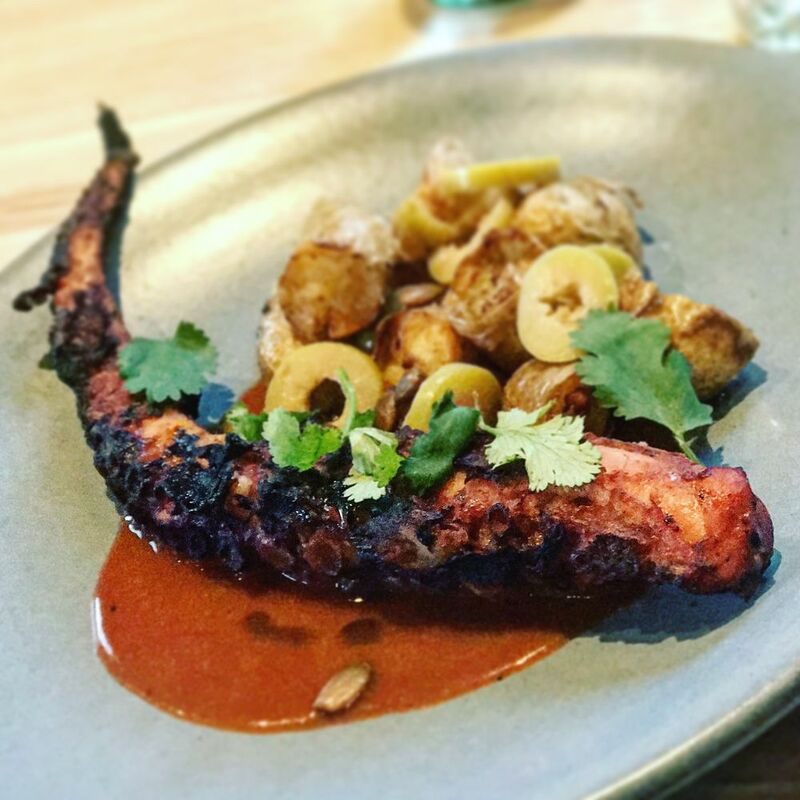 Over a bed of tomatoes, pepitas, olives, and potatoes, the charred octopus is a must-order on your next visit to the Cocina. We know that Cameron Mitchell gets most of his oyster press from The Pearl across the street, but you’d be wise not to overlook the Guild House’s version, served with champagne mignonette, grape granita, black pepper, and shaved grapes. It’s somehow simple and decadent at once, and tastes twice as good as it looks—which is crazy, because it’s one of the best-looking dishes you’ll see. Try to track down Momma Can Cook and you’ll get hip to their most popular menu item with a couple rudimentary scans of their reviews. While the culinary crowd is lighter in the seafood sea, there are food trucks everywhere, so when people are dropping lines like “one of the best meals I’ve ever gotten from a food truck,” we’re lining up to taste that gouda, tomatoes, bacon, scallions, and of course … shrimp!